For more bird articles, see the main Birds page. For a full list of animal articles, see the Animals page. For gardening articles, visit the Gardening and Plants page. Anderson, E., Regional Parks Botanic Garden. (1990). “Native Plants That Attract Birds to Your Garden.” NativePlants.org. Audubon New Mexico. (2006). “Gardening for Birds.” NM.Audubon.org. eXtension. (2011). “How Can I Attract Cardinals to My Property?” Extension.org. Fairfax County Public Schools. (n.d.). “Birds.” FCPS.edu. Hinterland Who’s Who, Environment Canada, Canadian Wildlife Federation. (2011). “Attract the Blue Jay to Your Garden.” HWW.ca. National Audubon Society. (2011). “Brown Thrasher.” Birds.Audubon.org. National Bird-Feeding Society. (2011). 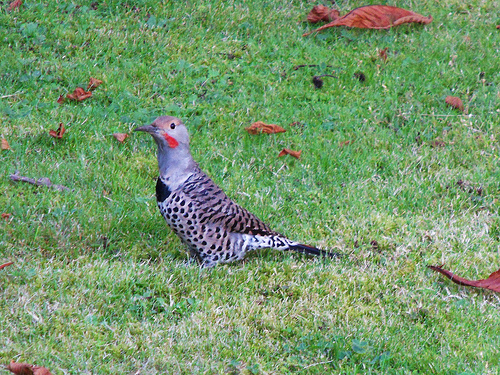 “Plants to Attract Wild Birds.” Birdfeeding.org. Reid, T., Canadian Wildlife Federation. (2011). 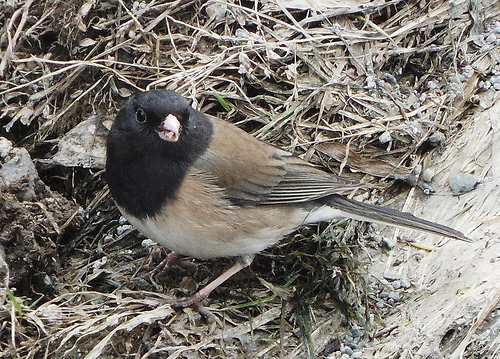 “Dark-Eyed Junco.” CWF-FCF.org. Sialis (2011). “Environmentally Responsible Landscaping for Bluebirds and Other Birds.” Sialis.org. The Greater Fort Lauderdale Flyaway Cities Coalition. (n.d.). “Native Plants to Attract Garden Birds.” FlyAwayCities.org. Virginia Department of Game and Inland Fisheries. (2011). “Selecting Trees and Shrubs to Attract Birds.” DGIF.Virginia.gov.